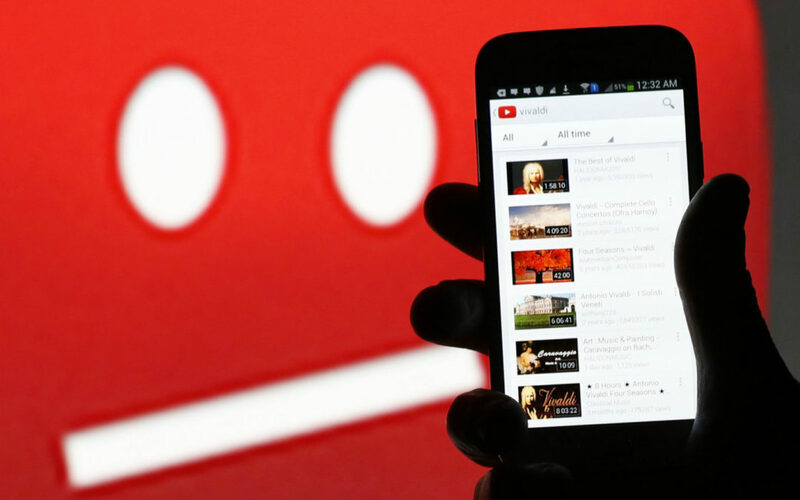 It is not a secret that it is possible to buy fake YouTube views and subscribers to artificially increase the popularity of our channels and videos. But it is quite shocking to discover that among the top buyers there are big brands and celebrities. With such popularity one would think they would not need it. “HolaSoyGerman“, one of the most popular YouTube channels in the world, belongs to a chilean youtuber, Germán Garmendia, who currently has more than 25 million subscribers. In one of his videos Germán shared a capture of his computer screen for a few seconds, in which several open tabs could be seen in his browser. A closer look revealed that some of the titles of the tabs belonged to popular websites that offer services to buy fake views and subscribers. This leak caused great controversy and forced Germán to make a video specifically to deny buying fake views, with very unconvincing arguments. YouTube constantly improves its detection controls to find and delete fake subscribers and views. But hackers improve their methods as well, and they always find new security holes to keep creating fake accounts. The popularity of this services probably resides in the fact that it is quite cheap to buy YouTube views and other kinds of fake activity on social networks. Thanks to SocialBlade, a website that provides social media statistics, we can check in real time which accounts have lost thousands of views and subscribers in the last 30 days as a result of YouTube detections. The report is called “Worst 500 YouTubers in the past 30 days“. In the list we can find names of famous youtubers, record labels, big artists, etc., losing millions of fake views in some cases. The reason why YouTubers invest money in buying this kind of services is due to a phenomena called “social proof”. The social proof is a psychological principle, a psychological bias by which people are more likely to accept something if many people have already accepted it. The more views or subscribers a channel has, the more likeable it becomes, and users will be more predisposed to follow and interact with that account. Social proof is one of the six principles of persuasion of Robert Cialdini. By buying YouTube views, any video can become “viral” in appearance and be presented in the media as a success, thereby cheating journalists and audiences. But buying YouTube views and subscribers is only one manifestation of a much bigger market. Any kind of activity on social media can be faked, and there are providers for Twitter followers, Facebook fans and subscribers, Instagram followers, Pinterest followers, SoundCloud views and downloads, and a large etcetera. Now more than ever, we cannot trust social media stats. How can I get some fake subscribers? I dislike fake views and fake subscribers. I have 418 real subscribers on my YouTube channel. Yes, it’s small compared to huge YouTubers like Pewdiepie and so on. But I know my views and subscribers are real. And that’s what matters to me. Great point man. I considered sub boting for some dumb reason, but I didn’t. I’m around 300 subs and I hope it will get better in the future. I actually thought about buying views BUT then i thought about it and decided not to. It takes time to grow but genuine views are always better than fake ones. I’ll get there one day. I can’t for the life of me understand why those talentless rich kid the dobre brothers have ANY views or subscribers. Look at their Socialblade, they STARTED with 350k subscribers… All paid for by daddy. Then she millennial sheep fall in line “Other people like them so I should too” they have no identity or own thought these millennials. Just a giant clone army.